Given that the original title was removed, it certainly seems likely but it could be arriving later than the PS4 version. The game will be launching on the platform on December 6, but only in Japan for now. The Last Remnant follows Rush Sykes, a teenage warrior whose sister, Irina, is kidnapped at the start of the game. It also says The Last Remnant: Remastered is launching on PlayStation 4 on December 6, with no other platforms listed. The practice isn't unheard of but is usually only used on games that feature licensed properties like existing characters or music not exclusively created for the game. The game will be a remaster of The Last Remnant role-playing game, which debuted for Xbox 360 in 2008 and for PC in 2009. This latest announcement might answer why the game is no longer available to purchase for PC. As of right now, the JRPG has only been announced by Square Enix for PS4. The game will have a livestream event at Tokyo Game Show on September 22. 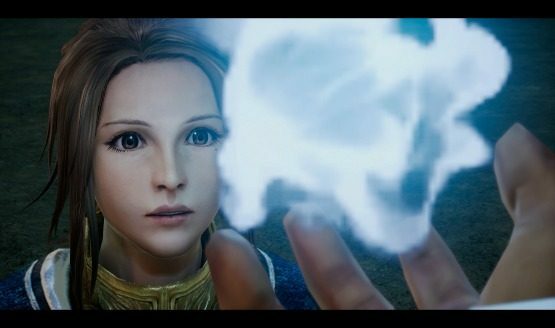 THE LAST REMNANT Remastered features beautifully enhanced graphics enabled by Unreal®Engine 4, allowing for a more immersive and captivating adventure than ever before. The video does include a release date, but that could still change drastically between regions. Being as this is simply the Japanese teaser trailer, I'm betting Square Enix will be localizing this new version in the West.